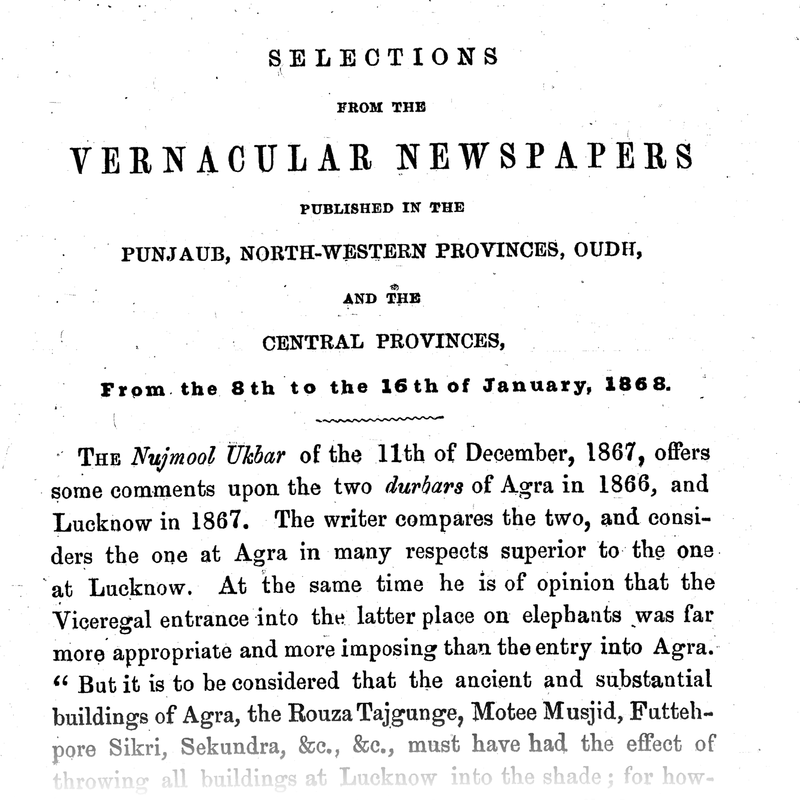 The South Asia Open Archives (SAOA), administered by the Center for Research Libraries (CRL), has recently begun digitizing the Indian Newspaper Reports containing weekly translations and summaries of local Anglo-Indian and vernacular-language newspapers from the late nineteenth through the early twentieth century, from throughout South Asia. The digitization of 110 microfilm reels held by CRL will make approximately 150,000 pages publicly available. The digitization is taking place at the facilities of SAOA partner the Roja Muthiah Research Library (RMRL) in Chennai, India, and the resulting files will be freely available on SAOA’s open-access platform in early 2019. To suggest additional content for SAOA’s collections, please visit the Digitization Suggestion Form.